The name Courtney C. Stevens could be familiar to you for any number of reasons. Maybe you loved her last book, Faking Normal. Perhaps you’ve seen her cheerleading for other writers’ books on Twitter or in person here at the store. Maybe you remember her interview in USA Today earlier this year — “What Entrepreneurs and Artists Can Learn from YA Authors” — where she explained her dedication to supporting fellow writers: “If my name ends up on more spines than acknowledgements, [then] I have lived my life incorrectly.” That’s the kind of person she is. 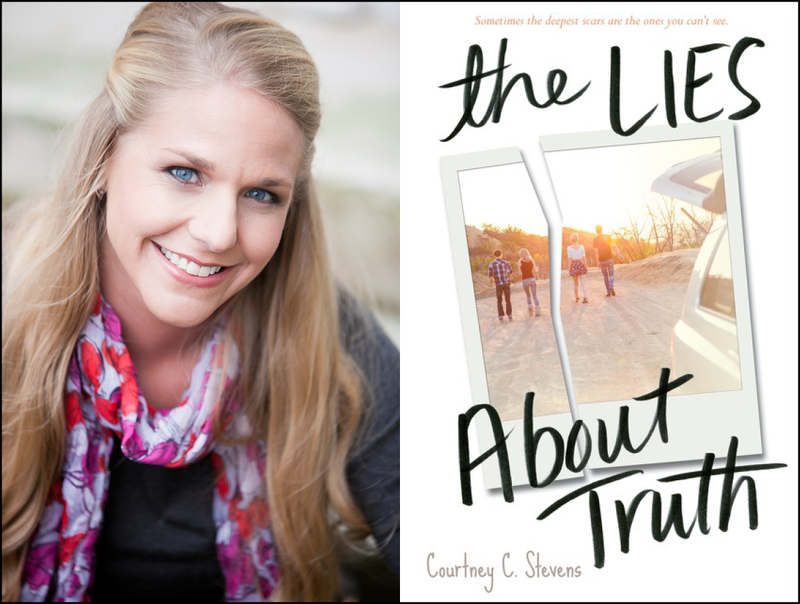 We’re delighted to host the launch for Stevens’ new book, The Lies About Truth, here at Parnassus this Friday, November 6, at 6:30 p.m. We’re also thrilled to choose this wonderful novel as the November selection for our YA subscription box, ParnassusNext. More about that in a minute, but first — here’s an interview between Stevens and our manager of books for young readers, Stephanie Appell. One of the things that I love about your books is that they’re not about characters who exist in isolation for the purpose of being characters in a book. Like real teens, they’re surrounded by spheres of community — parents, family, friends, neighbors, school, town — that have clearly shaped their identities and support their growth as people. Tell us about the role that community plays in Sadie’s life, and in yours. CS: When asked about my writing process, I usually say, “It’s super simple. I just shave off pieces of my soul and stir them in.” This could not be more true than in the crafting of Sadie’s community. Life is lived in a sequence of big and small moments—and we often define memories based on whom we were with at the time. This is true for Sadie. This is true for me. I grew up in a small town. I now live in a bigger town, but have cultivated a biosphere of artists that act as a small town. I am always in the process of simultaneously expanding the people I know and narrowing them into a community who support each other. Teens need support from all sources—friends, peers, mentors, and parents—and I’m not sure we outgrow that need. The characters in both of your books are dealing with some really hard, painful emotional territory. I’m wondering, as a writer, how do you craft that, but also, how do you negotiate that writing? In other words, how do you get the hard stuff right, and is writing it ever difficult? CS: Many realistic contemporary authors write about moments when life falls apart; I like to write about the pieces, and how we pick them up. I have a Masters in counseling, coursework in psychology, and some experience in the field … so the healing process was my academic pursuit for seven years. I also have a Masters in Theology and was a youth minister for nearly a decade. Loving people in crisis is a deep desire in my heart. Writing is an extension of those pursuits. Finding beautiful words and characters poised to transform is often more difficult than understanding how to write the hard narratives. I’ve lived a hard narrative (at times). I lived beside people grappling with hard narratives. Most of the time, I write to discover the answers I need. That’s the hard part—being vulnerable enough for self-discovery and drilling down into my soul, making sure I understand the messages I need before I act like I have something to say in a book. Why do you love to read YA, and why do you love to write it? CS: I read and write young adult fiction for the same reason people go to high school reunions — there’s something about figuring out how to be a person that begs us to return. Fiction is a natural place to explore those beautiful themes. The first time we loved, lost, were heartbroken, broke hearts, made mistakes, had success, won trophies, came in last, found freedom, felt contained by adults, broke rules, were punished, got away with something, cared about people, cared about the world, etc. The first time. That’s the key. You don’t have to read young adult to know that formative experiences are vital understanding humanity on the whole and self-identity. We don’t ask people about the third or fourth time they fell in love. We ask them about the first time so we’ll understand their starting point. If every person is a road map with a marked journey; we want to put a pin in the place they began. Young adult fiction is that pin. What’s your favorite thing about independent bookstores? CS: I am a reader first and an author second. As a reader, having an independent bookstore is like a barista for books. I walk in and my booksellers anticipate my order. They have a firm understanding of my book taste buds. There is such a comfort in being understood and known. No big box store can do that. Ever. As an author, Parnassus Books is HOME BASE. I filter all my launch decisions and authorial aspiration through their bookselling team. I am always met with support, love, and enthusiasm. In an industry often made of lonely moments and uphill commercial battles, this community makes me cry happy, thankful tears of appreciation. Quite simply, I think of Parnassus as my family. Likewise — and thank you! 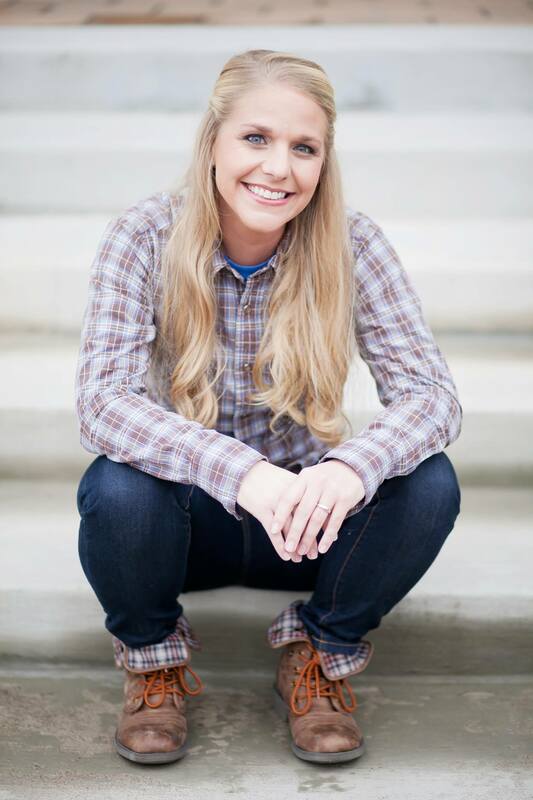 Want to hear more from Courtney C. Stevens? Subscribe to ParnassusNext, and you’ll receive bonus content from this interview in an exclusive email! Speaking of which . . . This month, our YA subscription box gets a new name and a new look! Formerly known as the Parnassus Young Adult Signed First Editions Club (even abbreviated, “PYASFEC” didn’t exactly roll off the tongue), ParnassusNext is all about one thing: the best new YA book of the month, selected by the experts at Parnassus Books, delivered straight from the author’s hands to you with an original, authentic signature! There is no membership fee to join, no line to stand in for the autograph, and no filler. Ready to unbox your next favorite book? It’s not too late to subscribe and receive our November box! For more information or to sign up, click here. And if you love YA, make sure you’re following our dedicated #ParnassusNext Instagram account. BOOK LAUNCH with author Courtney C. Stevens! Friday, November 6, 6:30 p.m.